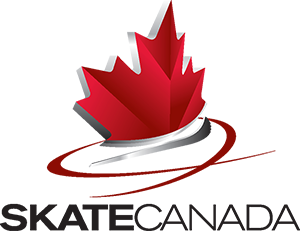 Junior skaters have passed their CanSkate Stage 5 Badge. Each 60-minute session includes 15 minutes of stroking, a 15-minute group lesson with a coach, one 15-minute group lesson with Program Assistants and 15 minutes of free time to practice on their own. An information meeting is offered to STARSkate parents in the fall. Junior skaters are required to skate a minimum of 2 sessions per week. Please note: There will be no private lessons, during the first 15 minutes of each Junior session, to allow all skaters the opportunity to participate in the edges and turns portion of the session, which is provided by the club. Your skater will have free time to practice on their own and you will need to make arrangements with your coach for private (or semi-private) instruction. There may be specialty sessions available to your skater at this level usually before or after their regular sessions. Intermediate skaters are required to skate a minimum of 2 sessions per week. Senior skaters are required to skate a minimum of 3 sessions per week. Advanced skaters are required to skate a minimum of 3 sessions per week. The only exception to this prerequisite is Skaters who have passed 2 Gold tests. Contact us for more information about our programs or to register!